III. A Pact for or against Europe? "One of Europe's most prominent intellectuals, a social political theorist of the highest standing. In pinpointing the lack of democratic participation, he builds a case that Europe's leaders will sooner or later have to answer." "A trailblazer of an emerging debate in international political theory." "A vital injection into the public debate on the future of the EU since it brings our attention to a central political dimension of this project, which seems to have been lost. It is also a thought-provoking contribution to several debates in political theory." "The Crisis' demand for a politicised and democratised Europe is a welcome tonic to an event currently marked by its lack of vision." "We should rejoice that a philosopher like Habermas is not giving up, but calling the European elite to order. He sees an opportunity in the crisis. 'With a little backbone the crisis of the single currency can bring about what some once hoped for from a common European foreign policy, namely a cross-border awareness of a shared European destiny.'" "One of the most famous living philosophers." "There is something refreshingly honest about Jurgen Habermas's take on the European Union." "For at least a generation Jurgen Habermas's work has made a significant impact on a variety of important debates in philosophy and the social sciences." "No-one articulates the 'European' ideal with greater intellectual clarity, philosophical acumen and humanist fervour than Jürgen Habermas." This is a very timely and important political intervention by one of the leading social and political thinkers in the world today. 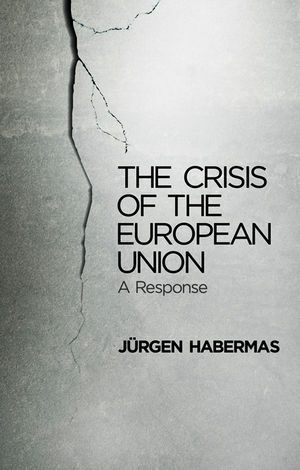 Habermas examines the current crisis in the Eurozone, assesses the options available to European leaders and reflects on the implications of the current crisis for the future of Europe and the European Union. His central argument is that the European project must realize its democratic potential by evolving from an international into a cosmopolitan community. Habermas links this political analysis to his more theoretical work on cosmopolitanism and what he calls, following Kant, the constitutionalization of international law.